Working with accomplished professionals and professors to broaden our horizons. Networking events allow us to connect with several professors and professionals to give the girls a tangible idea of what it means to be a women in STEM. This initiative strikes a balance between both our members’ activism and personal interests. Modeled after versions that we've seen publicized, our networking events remain to be one of our most successful initiatives. These events include dinners, potlucks, meetings, and panels with professors and professionals where we offer time to connect with people who could help you with your personal initiatives and projects and who are passionate about the same things as you. This is an amazing opportunity to advance your personal interests. These programs are widely available for adults, but through inviting high school girls, we're taking concrete action to expose high schoolers to the opportunities available after graduation. Connecting with the professors and professionals after can be equally, if not, more rewarding than listening to them speak. We hope that through matching personal interests with successful individuals, we can accomplish what we do through the mentorship initiative on a larger scale. Networking events help us foster a sense of independence and empowerment, and we are incredibly thankful to all the participating professors and professionals. 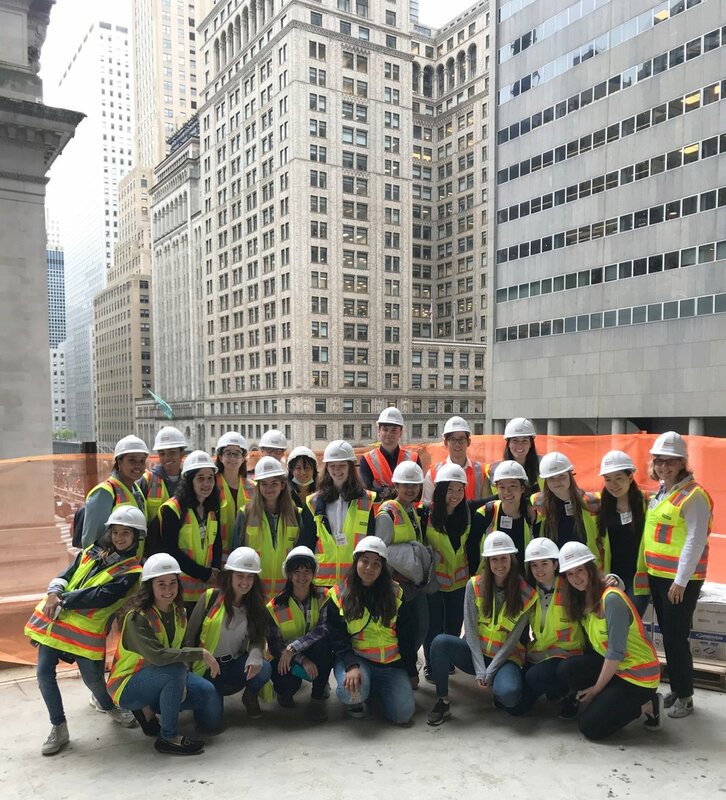 Our Dwight-Englewood chapter at Thornton Tomasetti in New Jersey, exploring civil engineering. Exploring new ways to use engineering in a social context, they had a day of demos and tours, learning more about the field.